I am pleased and honored to have several of my nature and landscape images published in the new book release, “South: What it Means to be Here in Heart or in Spirit.” The photographs selected were those captured in South Carolina, North Carolina and Texas. “South” also includes the work of several other well known photographers and essays from some of the best known authors and essayists throughout the Southern United States including Pat Conroy. “South” is published by Lydia Inglett Ltd. Publishing of Hilton Head Island, South Carolina. 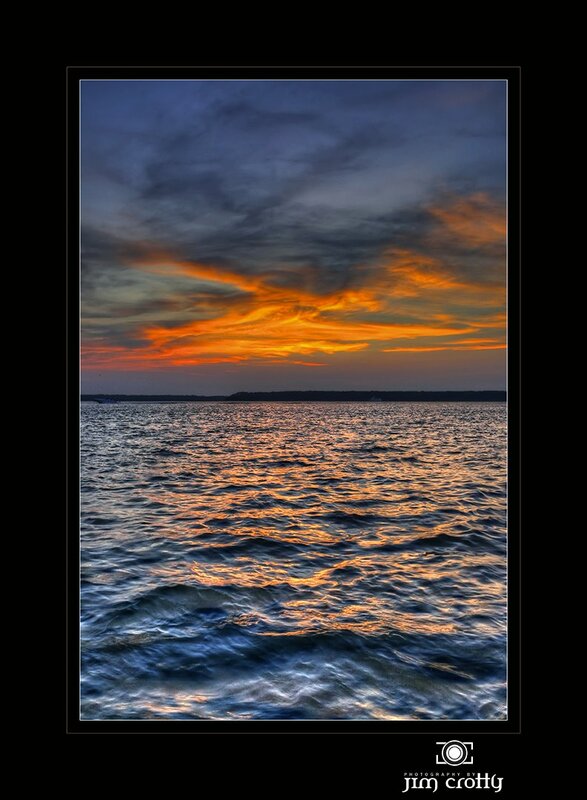 January Sunset and Moonrise | Hilton Head Island, a set on Flickr. The rising of the full ‘Wolf Moon” on the evening of January 26 2013 from Burke’s Beach Park on Hilton Head Island, South Carolina. This is my favorite public beach access on the Island. I shot a lot of family beach portraits during the summer tourist season at this location. It was fun going back this past Saturday night. Relatively warm out with beautiful sunset and moonrise. Those who’ve been following my photography and who’ve participated in my workshops know that I am all about autumn. And it’s much more than just the trees turning nice shades of red and gold (of which there is not much of here in coastal South Carolina). It’s about the shadows lengthening, the days and nights returning to a right balance and the graceful light of a southward sun. From the hills and woodlands of my home state of Ohio to the lowland maritime waterways of South Carolina, I find that life is renewed when the high humidity and blah light of summer depart the stage. In some ways I feel bad for the crowds of summer visitors to Hilton Head Island. They miss out on what I consider to be (at least from an artistic viewpoint) the most beautiful time of year in this area. With cooler, tolerable temperatures the air is cleared making way for almost daily shows of spectacular light at sunrise and sunset. 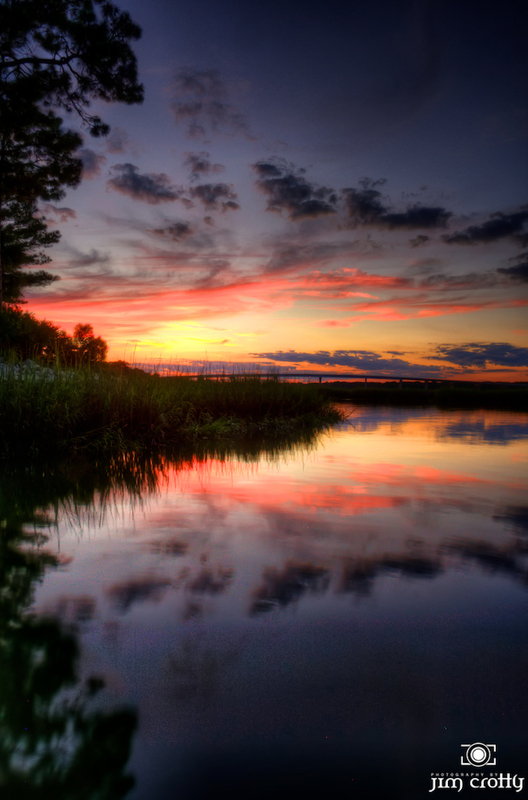 The skyscapes over saltwater marsh and beach are jaw-dropping gorgeous, a living prayer set to dancing light. Out I go with camera, a few lenses, tripod and a welcoming, grateful heart. I think it’s because the landscape of the coastal area is all basically without the undulating dynamics of hills or mountains is why I’m so drawn to the sky as my primary subject for landscape photography here on Hilton Head. Take away the humid, sometimes overbearing days of of summer. I will take fall. This is the time of a feeling spirit and it has been well worth the wait. For me autumn brings not only a return to balance but also a more honest approach toward light and life. Something arrives on the cleansing north wind like an old, trusted friend who embraces the soul. In autumn light peace settles-in and fills the painful void left from the quick departure of summer excitement. I am home and I am thankful. Take me back to June or jump me forward to late August, because July weighs heavy on me. It’s a photography/nature lover thing. Light and energy. This is the month when the light goes overbearing across the landscape, usually under a brutal blanket of relentless humidity. The days go out of balance and wear-on. The hot-blooded twin of dreary January. July. What’s a photographer to do ? Endure and get through it by looking for the opportunities. It can be tough. Here on Hilton Head Island July is prime visitor season. It is the season of family portraits on the beach. The best light is much more limited to perhaps an hour before sunset, and during sunset, which can stretch the limited patience and dinner time appetites of the kids. But the best portrait photographers make use of what’s available during those sessions by optimizing camera settings, additional light and most important of all, eliciting heartfelt emotion from their subjects (no matter how hungry, hot and/or tired!). And there are pockets of opportunity for nature and landscape photography as well. I like to watch weather patterns because I’ve learned that even in during the dog days of summer a good storm front can still result in a dynamic sky with pleasing light, particularly here on the coast when a setting sun breaks through on the backside of a passing storm. * Shoot early. Shoot late. As in pre-sunrise early and post-sunset late. Unfortunately this time of year there’s not much sleep time in between. * Lenses in air conditioning suddenly exposed to high humidity will immediately have condensation. It’s best to acclimate cameras and lenses gradually so you don’t have to miss the shot while waiting for the “fog filter” to dissipate. * Less is more when it comes to gear. Struggling with too much camera equipment while trying to take advantage of moving light is frustrating enough, but added weight in high heat and humidity only makes things worse. Stay cool, travel light. One of my favorite walk-around lenses is a 50mm that weights just a few ounces. * If your subject is hot and uncomfortable it will show in the image. Get them under a tree and in the shade. Spot meter for skin tones when shooting against bright backgrounds outside of the shade. Go ahead and let the background get blown-out but get in close. Squinting eyes are only photogenic with big game predators, not people. Bright sunlight in July can be so harsh that even with it bouncing off off beaches, parking lots and buildings it is still way too much. * Summer scenes in woodlands photograph horribly on bright, summer days. Green in direct, summer sun goes almost yellow and the range between shadows and bright spots is too far to effectively manage via camera meter and in exposure. Wait for subdued, more even light. 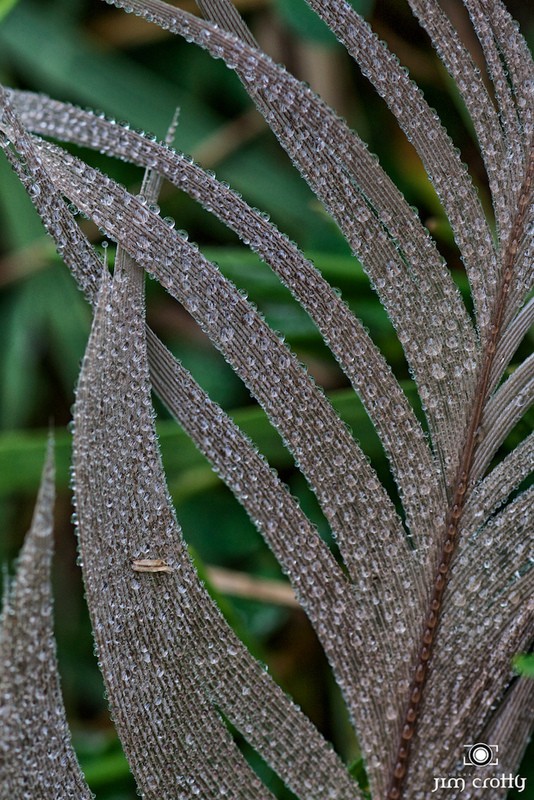 * Early morning visits to the garden with a good macro lens and little to no wind are always worth the effort. 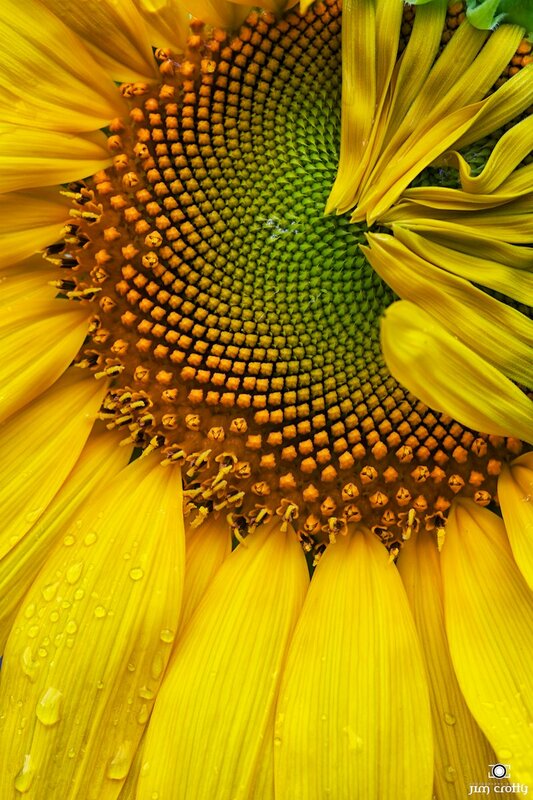 Get in close and fill the frame with color, texture and pattern. Always go with what it is that first catches your eye and then edit, edit, edit. * Move to the mountains. There is a reason for July. It’s times like these that help us appreciate spring and fall. For everything there is a season and good light always returns. Patience, a lot of fluids and air conditioning and we will soon be back in those times of the good light. Gain creative control over your photography by learning how to use camera settings, basics of exposure and how to see light to serve your creative vision. Thursday evening June 28th, 5:30pm to 7:30pm. 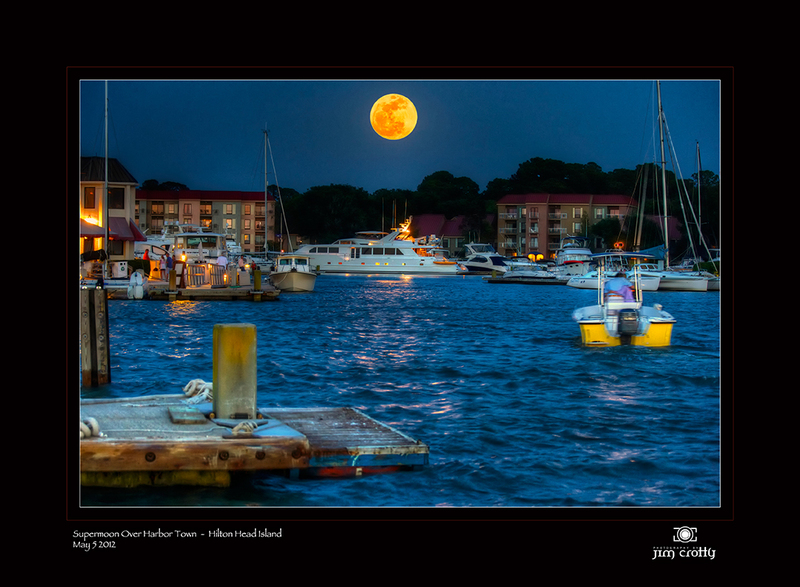 The location will be the studio and gallery of Photography by Jim Crotty located at 32 Palmetto Bay Road on Hilton Head Island, South Carolina. This will be a class on basic settings for DSLR cameras for nature photography. 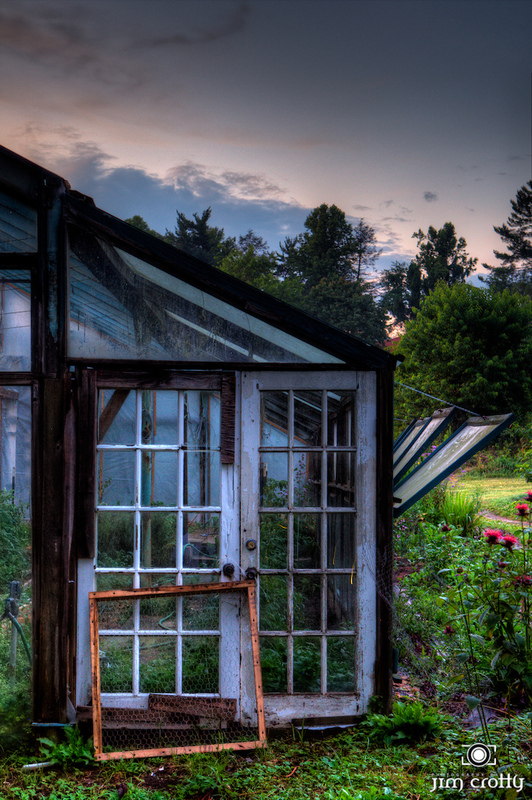 We’ll use the garden just outside my studio for demonstration and then we’ll go into the studio for digital editing. The cost will be $45 per person. Accept VISA, MC, check or cash. Limited to first eight people who register. 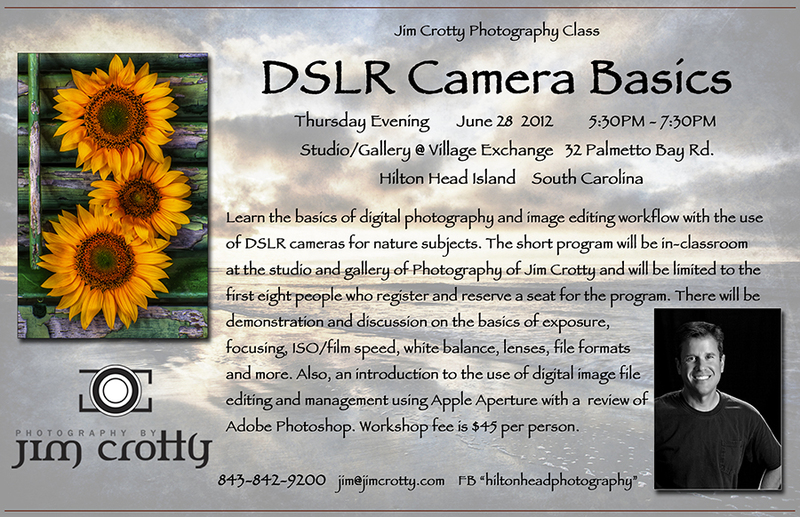 Simply call 843-842-9200 or email jim@jimcrotty.com.